When i got news about water driven car,my words were ,its impossible,but friends did not believed. 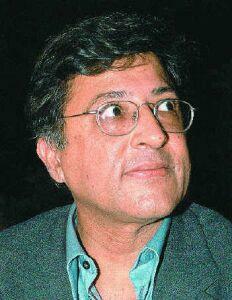 For them Professor Pervez Hoodbhoy given a good answer Lets read it . Agha Waqar Ahmad deserves a medal from the people of Pakistan for his great service to the nation. In a few short days, he has exposed just how far Pakistan has fallen into the pit of ignorance and self-delusion. No practical joker could have demonstrated more dramatically the true nature of our country�s political leaders, popular TV anchors and famed scientists. At first, it sounded like a joke: a self-styled engineer, trained in Khairpur�s polytechnic institute, claims to have invented a �water kit� enabling any car to run on water alone. It didn�t matter that the rest of world couldn�t extract energy from water; he had done it. He promised a new Pakistan with limitless energy, no need for petrol or gas, and no more load shedding. For an energy starved nation, it is a vision of paradise. Agha Waqar Ahmad is now a national celebrity thanks to Religious Affairs Minister Khursheed Shah. Federal ministers Mir Hazar Khan Bijarani and Qamar Zaman Kaira have added their commendations. President Asif Ali Zardari has expressed his delight. The cabinet has met three times to discuss the water vehicle, and a fourth meeting is scheduled. Reports suggest millions may be spent on the �water fuel kit project�. The media has rushed in to celebrate the new national hero. For TV anchor Talat Husain, thanks to Agha Waqar Ahmad�s invention, Pakistan�s image can go from a country ravaged by terrorism to one of boundless possibilities. Anchor Hamid Mir and Senator Parvaiz Rasheed drove around Islamabad sitting next to the inventor, wondering how to protect the man�s life from Western oil companies. Anchor Arshad Sharif was euphoric about the $14 billion Pakistan would save on oil imports. Pakistan�s most celebrated scientists were not far behind. Asked by Anchor Sharif whether a car could run only on water, nuclear hero Dr Samar Mubarakmand replied without hesitation: �jee haan, bilkul ho sakta hai� (yes, absolutely possible). For his part, Hamid Mir asked Dr AQ Khan if there was any chance of this being a fraud. The response was clear: �Main nay apnay level per investigate kiya hai aur koi fraud waraud nahi kiya hai� (I have investigated the matter and there is no fraud involved). The head of the Pakistan Council of Scientific and Industrial Research, Dr Shaukat Parvaiz, went further: �hum nay bhi iss pay kam karaya tha� (we had some work done on this too). So, what is the problem? It�s that the laws of physics, in particular a fundamental scientific principle known as the Second Law of Thermodynamics, impose inviolable constraints. Every machine constructed anywhere uses the Second Law. This is something that I learned in my first year as a student at MIT and have taught for 40 years. No serious scientist would dream of challenging the Second Law. Agha Waqar Ahmad�s �water kit�, if one believes science to be right, simply cannot work. What the inventor, the ministers, the anchors and scientists claim on TV is wrong. To his credit, the only person on TV that seemed to know this elementary principle was Dr Attaur Rahman, a chemist and a former HEC chairman. I have not agreed with all his actions and views in the past, but he alone rejected the claims about the new machine. Sadly, he was not able to hold back the tide of a nation desperate for any answer to its energy woes. The water fraud will be exposed soon enough and, like a bad posterior smell, will go away. A simple experiment will make this happen faster. Here�s how: take an emergency electricity generator, of which there are thousands in Islamabad. Its engine is similar to that in a car. Remove the fuel tank and make sure the �water kit� contains only water. Then ask the inventor to connect it up and run the generator. Let there be enough sharp-eyed witnesses of intelligence and integrity. But this episode raises bigger questions. Scientific frauds exist in other countries, but what explains their spectacular success in Pakistan? Answer: our leaders are lost in the dark, fumbling desperately for a miracle; our media is chasing spectacle, not truth; and our great scientists care more about being important than about evidence. It is easy for them all to get away with this. As a nation, we have proven unwilling to do the hard work needed to learn to reason, to be skeptical, to demand proof, to understand even basic science. It is easier to believe the world is run by magic and conspiracies, to wish and wait for Aladin�s magic lamp. We live in the age of jahilliya. By Pervez Hoodbhoy Published in The Express Tribune, August 3rd, 2012.